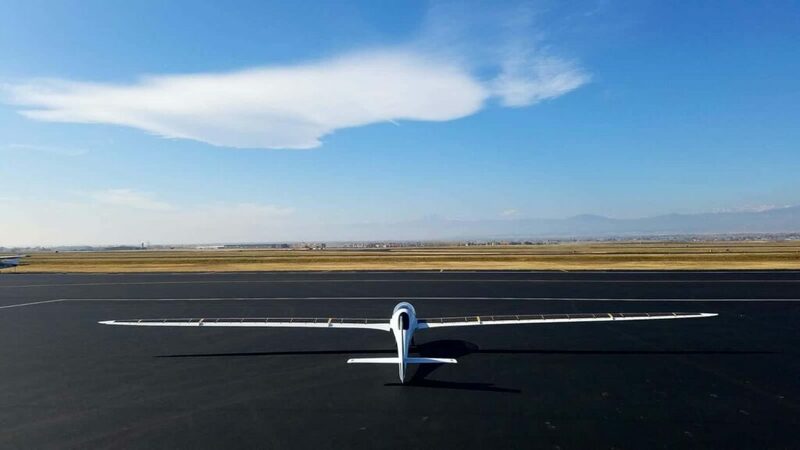 SolAero Technologies has announced the successful completion of ground testing of the integrated solar wings on Bye Aerospace‘s medium-altitude, long-endurance solar-electric unmanned aerial vehicle (UAV) StratoAirNet. SolAero successfully integrated lightweight, flexible solar modules incorporating their state-of-the-art, high efficiency solar cell technology onto the wing structure, manufactured by Bye, while minimizing add-on mass and preserving the critical laminar flow surface of the wing. StratoAirNet is a lightweight, carbon composite construction, aerodynamically efficient aircraft. The solar-electric UAV has a payload capacity of up to 70 lbs., enabling substantial capability with multiple sensors at altitudes of up to 35,000 feet. The initial StratoAirNet 15 prototype (with a 15-meter wing) can be optionally-piloted to enable rapid qualification of customer payloads without FAA airspace restrictions that can slow UAV payload development and deployment. With a test pilot in the prototype aircraft, solar, battery and propulsion system maturity, preliminary flight performance evaluation and autoflight control optimization are accomplished at a faster pace, with greatly reduced risk.